This marketing technique uses multiple channels to bring in business. 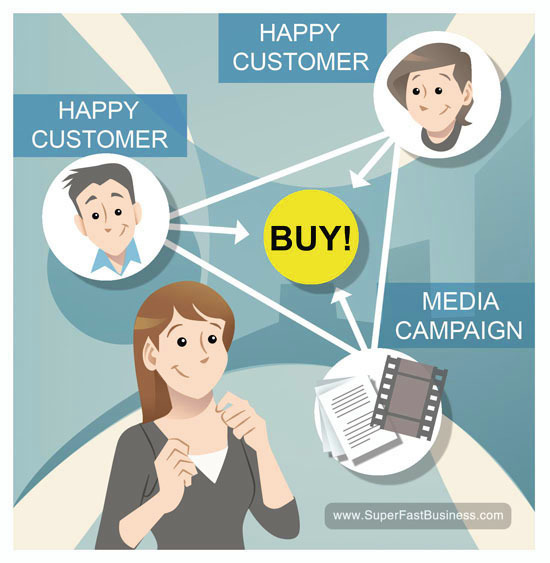 A multi-channel marketing approach can get you more customers. 00:13 – What is the triangulation method? 01:31 – How can you have 3 people talking favorably about you? James Schramko here with a business tip. I’m going to share with you the triangulation method that I’ve been using for getting business. And I know this is going to help your business get more customers. So what is the triangulation method? I’ve noticed when I look at places like Google analytics, and to my conversions, that people go to various different places. They might click on a paid ad, they may go to social media, and they may type in my website directly, and then they actually order. This is because they’re finding me in multiple places. Now as direct response marketers, we already know that a multi-channel approach can help get a customer to be aware of our business and to come on board. The triangulation method works just like GPS navigation. You’ve got your car there, and then there’s three satellites, and they all zoom in on the position, and if they all verify that that car is in that position, then it’s a match and it knows exactly where you are. Now this is what happens in the triangulation method with customers. You’re here. Now if you can have three successful customers, or two successful customers and one media campaign, or two media campaigns and a successful customer referring to you, then by the time your prospect has heard about you three different ways in three different places, they’re starting to form an opinion of your value, and that’s why they come and find you. So the triangulation method is simply about making sure you have multiple channels, and multiple referral points. So the best question you can ask yourself today for your business is how can you have at least three separate places or people talking about your business in a favorable way. That’s your homework. Take care. I’m James Schramko. Let us know how triangulation has worked for you and comment below. Makes sense, James. But what’s the best way to publicise the happy customer’s opinion? Damien you can ask them. Also you can have comments on facebook or blogs that are public. Speakpipe can also be used for collecting audio testimonials or nice comments to publish on podcasts. That’s exactly what happens. People will see your ad, check you out on facebook or linkedin, find out what people are saying about you and then engage or buy. Spot on James!